Learning in Atlanta with kids may sound like a tall order, but that just means you haven’t looked hard enough. Look a little closer, and you will discover a wealth of history, culture and fun! Introduce them to the author of an American masterpiece, walk the historic trail of the civil rights movement, and help them explore a potential new career. 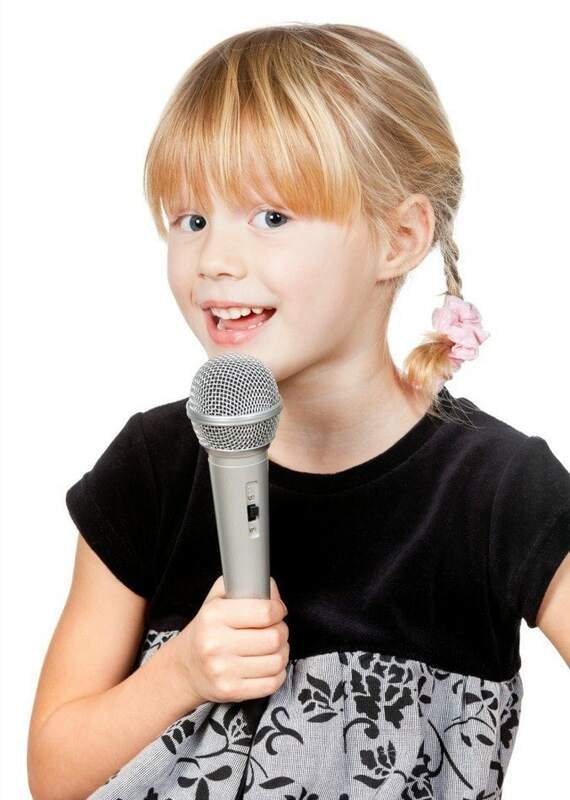 From sports fans to news junkies, kids will be entertained, while parents sneak in learning like vegetables. The best news of all? Many of Atlanta’s best activities are free! Did you know that Margaret Mitchell wrote “Gone with the Wind” in Atlanta? Watch the movie with your kids before your trip and then visit Margaret Mitchell House, a three-story Tudor Revival mansion where she penned her famous novel. Learn with your kids about the American Civil War and see over 1,500 artifacts that include cannons, uniforms and flags at the Atlanta History Center. There are guided tours and free audio tours available. Teach kids about the civil rights movement with a visit to the Martin Luther King, Jr. National Historic Site, the birth home of MLK. Sports-loving families will enjoy touring the Centennial Olympic Park, home to the 1996 Olympic Games. See the world’s largest Olympic Ring Fountain and explore the impressive monuments and engravings along the walkways. 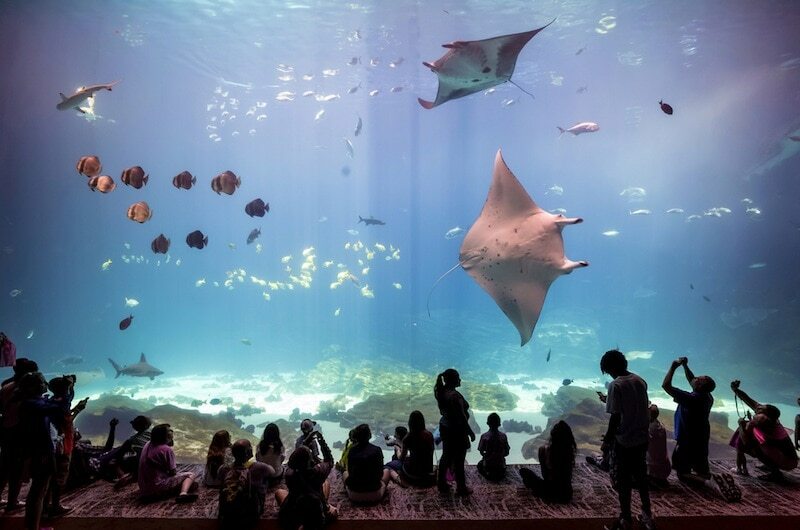 Brightly colored fish, whale sharks, and manta rays swim through the plentiful tanks at the impressive Georgia Aquarium in Atlanta. Before you enter the Ocean Voyager exhibit, pick up a Dive Card. These cards feature pictures and names of the various types of sea life that can be found in the exhibit. Encourage children to spot and name the different fish as they swim by and above your family. At CNN headquarters in downtown Atlanta, families can embark on an Inside CNN Studio Tour that runs about 60 minutes and is suitable for kids elementary age and older. My family’s tour guide did a wonderful job of keeping the attention of my young children (ages 5 and 7). Both of my kids got some real-life experience becoming weather announcers for a day. They also got a chance to see a real newsroom full of employees in action. 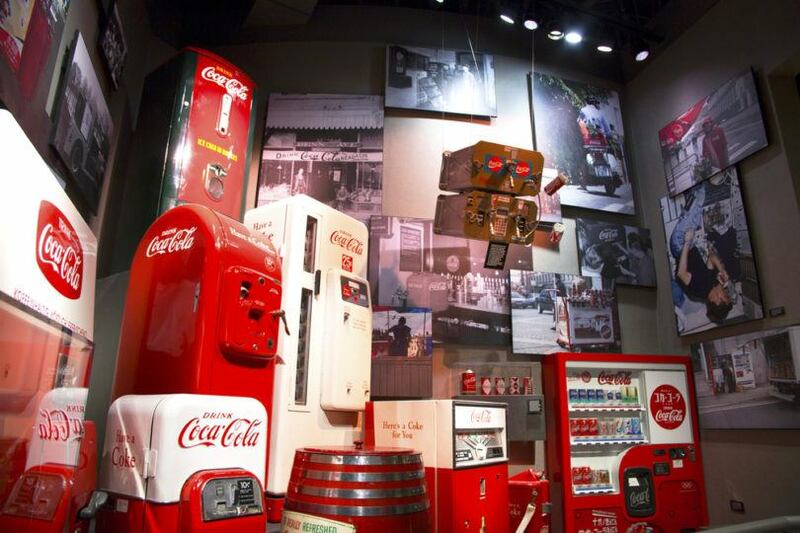 During a visit to The World of Coca-Cola, learn about the history of this international soda company and see the vault where Coca-Cola’s secret recipe is kept. What kids will remember most, though, is taste-testing various beverages from around the globe. In the tasting room, find fountain drinks categorized by continent. Grab a cup and start sipping — you can stay as long as you want. My kids agreed that blue raspberry was the best. A pineapple-flavored soda was my personal favorite. Atlanta with kids is suddenly tasting very good! On this trip to Atlanta, my family checked into the Omni Hotel at the CNN Center, which is located in the heart of downtown within walking distance of many local attractions. Once we parked our car, we didn’t have to move it again until it was time to drive home. Our weekend spent running around downtown Atlanta from one attraction to the next didn’t even touch the surface of the many learning opportunities the city has to offer. We are already planning a trip back so that we can visit the Fernbank Museum of Natural History where we will learn more about dinosaurs, the Atlanta Botanical Gardens to learn about flowers, and Yellow River Game Ranch to learn about the animals that are native to Georgia. Visiting Atlanta with kids is certainly a worthwhile learning experience! 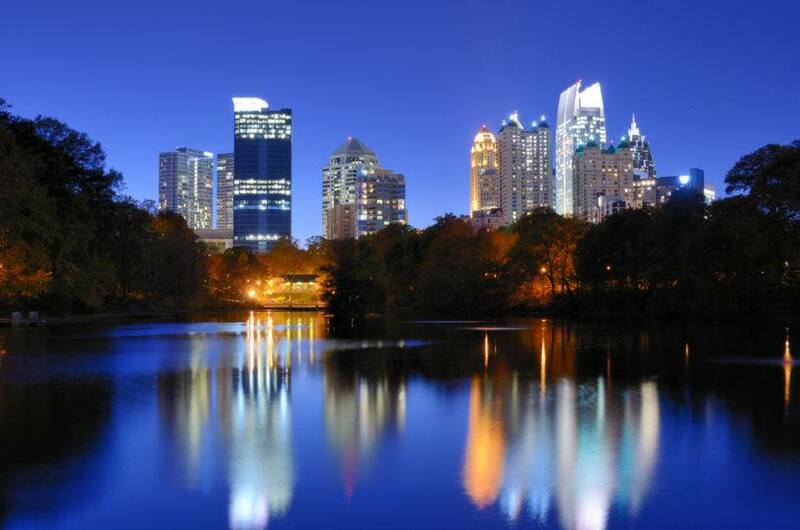 What learning experience in Atlanta appeals most to you? Let us know in the comments below! Jennifer Close writes about her adventures on her family travel blog, Two Kids and a Map. A Note from Jennifer: Thank you to the Omni Hotel at the CNN Center for hosting my visit to Atlanta. I don’t have kids but yes i am very much eager to learn all this. Coca-cola gives 3300 ways of refreshing as they claim. I would like to know which one is the best and surely try blue rasberry.